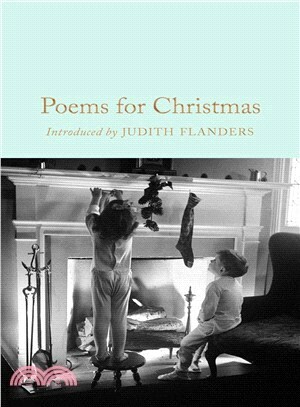 Poems for Christmas is an exquisitely produced gift anthology which is guaranteed to get anyone in the festive spirit. Part of the Macmillan Collector’s Library, a series of stunning, clothbound, pocket-sized classics with gold-foiled edges and ribbon markers. These beautiful books make perfect gifts or a treat for any book lover. This edition features an introduction by Judith Flanders, author of Christmas: A Biography. Through the generations, poets from William Shakespeare to Thomas Hardy and from John Donne to Christina Rossetti have been inspired to celebrate the Christmas season in verse. Just as we cherish our Christmas traditions now, so many of the great poets wrote beautifully about the Christmas story, magical wintry landscapes, festive traditions and making merry. And then, of course, there are the much-loved songs and carols from around the world that we still sing today, many of which are included in this enchanting anthology.